One of the perks of traveling is being able to find products not available in your neck of the woods. Such was the case with this incredible honey we stumbled upon in Florence Italy. It was a rainy afternoon and we had just finished a lunch of bread and fresh burata (I know, rough right?). Wandering though the city, we had no where to go, and certainly no where to be. We found ourselves in a small square with a make shift farmers market. Just a few tables placed in front of a few weary producers. One was a middle aged woman with speckled grey hair. Her table was nearly bare compared to the others at the market - overflowing with imported fruits and vegetables. She stood over just a few bottles, lined up neatly. One of the bottles, the taller of the two, contained olive oil. The stouter jars, were filled with honey. Both were produced on her family's property, just a few miles outside of Florence. The oil was nice, but it was the honey that really caught my attention. The jar had a strange looking label with an entire little bee family tagged to address their various job title within the colony. There was drone (fuco), queen (regina), workers (operia), nurses (nutrice), spazzina (sweeper), larva, and guardia (watchman). 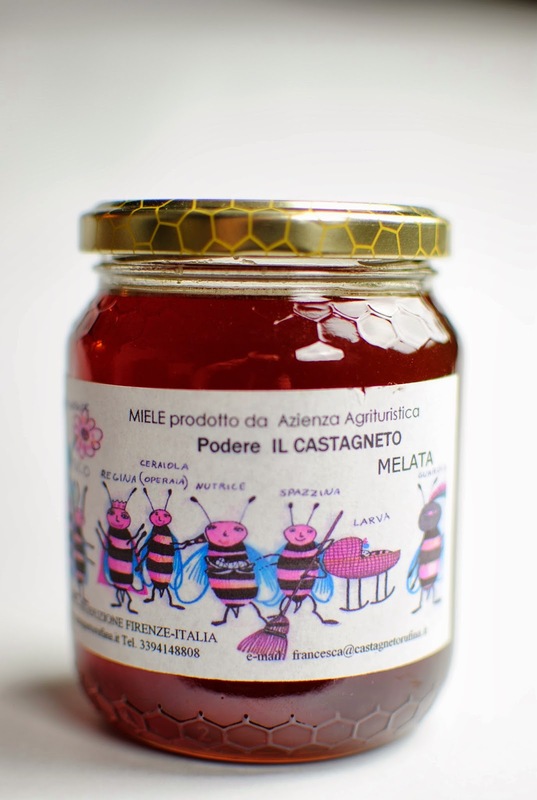 The jar was also labeled with the words "Bottinatrice" which means foraged, and "Melata" which translates directly to honeydew. Totally baffled, I proceeded to grill her about the honey's origins. The honey, she explained, was harvested in August, and is the product of honeydew - but it's not the fruit that you have in mind. Honeydew, in this case refers to the secretions that occur when a insect (usually an aphid) feeds on the sweet sap of forest trees (specifically fir, lime, and chestnut). 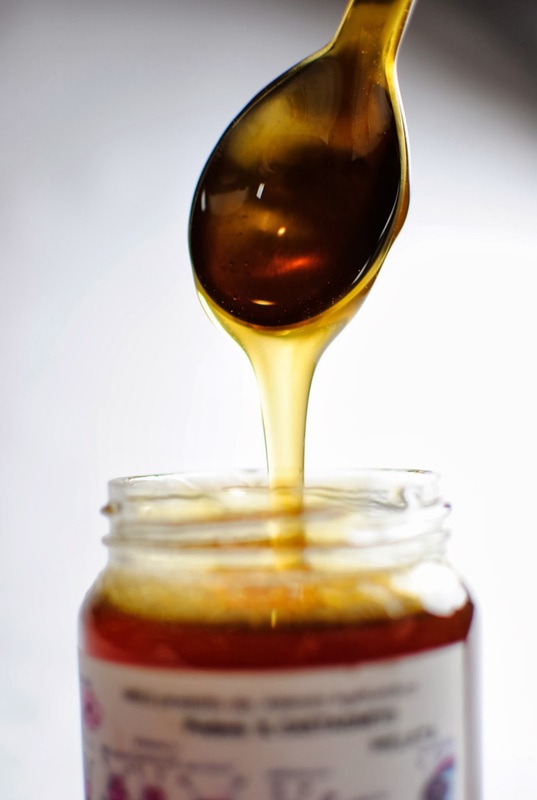 These secretions are collected by bees and then processed into a strong honey prized for its medicinal values. You're telling me that aphids hang in out in Italian forests, sipping sap from trees, expel the excess out their "youknowwhats" then curious bees (also flying around in Italian forests) come along, gather this nectar then you collect it from the bees and made this delicious stuff from it? Is that what you're telling me? That's...AWESOME!! The honey was rich, dark, and very strong. A teaspoon in a full cup of tea was almost overpowering. It's flavor is that of molasses, cooked citrus, and deep evergreen (sprucey?). The unmistakable scent of chestnut was there, and that nutty undertone carried though long after the honey hit your tongue. A cool story and, by a landslide, the coolest honey.